Quenum is one of the founders of Cadenza Records alongside Luciano, a prolific DJ and producer in his own right, known the world over (in the right circles of course) for a hybridized form of intelligent, deep and physical techno. In the year 2003, together with Luciano, Philippe Quenum released ‘Orange Mistake’ a pathbreaking, futuristic techno detonation device that paved the way for much of the cerebral-yet-dance-floor-friendly techno that slowly began to gain a universal foothold in the last decade. The longtime scene stalwart, with a “resume that could kill a rainforest”, began his career in the ‘80s. In a household steeped in musical diversity, Quenum, via his parents, listened to everything – soul, african music, reggae, carribean music, jazz and hip-hop. Before venturing onto the decks, Quenum attended a jazz dance school that led to his place in a professional breakdance group. Apart from his key role in the formation of Cadenza, Quenum also partook in another historical feat almost 20 years ago in 1996 – the creation of Access 58 with Paulo Nascimento. 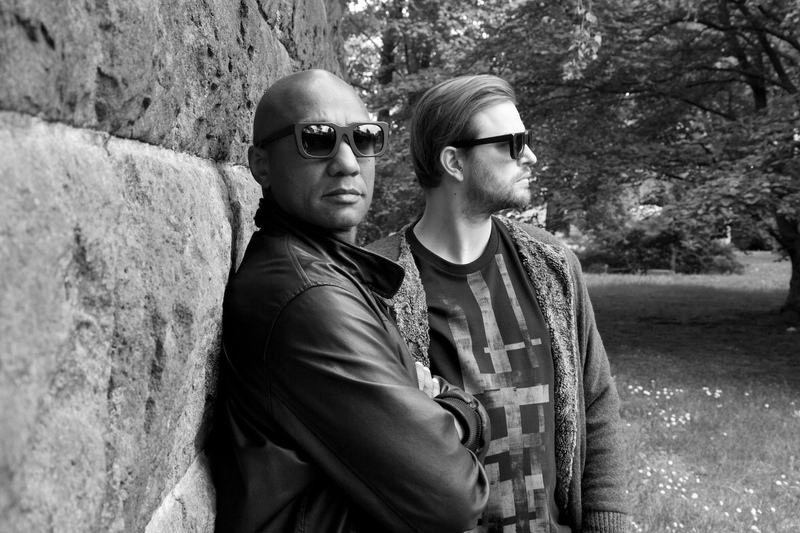 Together, the two would go on to produce and release a number of illegally funky techno EPs, LPs and collaborations that blurred the lines between tribal techno, minimalism and house music on the eponymous Access 58 and numerous other record labels. A mere cursory look at Quenum’s back-catalogue is by itself quite the sight. He’s released music on Damian Lazarus’ Crosstown Rebels, Clapper, Serialism, Toys For Boys, Thema, Serialism Records, Supernature, and many more, as recently as this year with a stunning 12” out on Upon.You. Through the decades, Quenum has shown no signs of slowing down. His immense creative streak has led to the formation of yet another groundbreaking gift to the world of dance music – Azimute – a new project he helms alongside rising house and techno start Cesare Marchese. Azimute began with a bang, a widely appreciated EP on Crosstown Rebels titled Control (CRM134) and another on sister label Rebellion, followed it up with an appearance on John Digweed’s ‘Live In Toronto’ compilation and also formed the vinyl-only limited edition label Azimute Music. As expected, their releases have already gained critical acclaim and are sold out. Like we mentioned, Quenum is a powerful, emotional performer with flawless mixing skills and an ability to connect deeply with his audiences. He describes himself, first and foremost, as a crowdpleaser. Grab a preview below of what Quenum is all about.